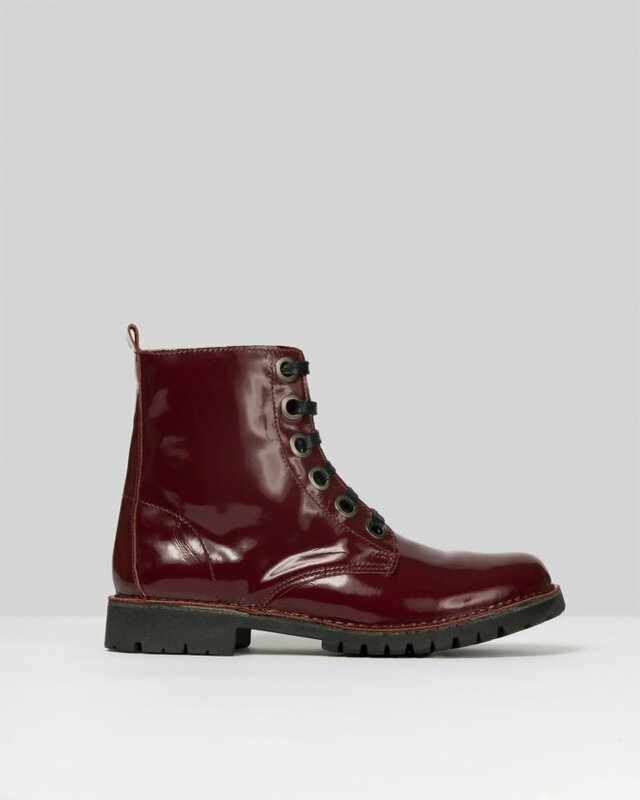 Red leather ankle boots. Side zip closure with big rounded buckle. Rounded toes. Block gold heels.